GIFTS There are 57 products. 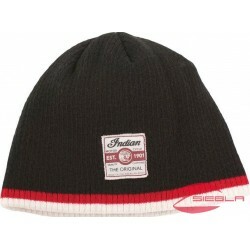 The Indian Motorcycle® Neck Warmer provides useful protection for all weather riding. Don’t leave home without it. 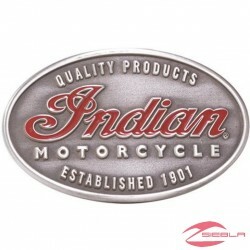 This premium quality pin features the Indian Motorcycle® logo, so you can show Indian Motorcycle® pride everyone you go. This pin combines premium quality and elegant style. 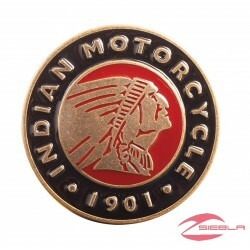 Showcase the Indian Motorcycle® brand with a pin that is sure to be seen. Custom style, three-quarter helmet. Snap-on sun peak completes the package for all-day comfort. We do not accept returns on helmets. This high-quality metal buckle features the Indian Motorcycle® emblem logo and is ready to use on any leather belt (not included). This oversized mug is a great way to start the day. Set of 2. 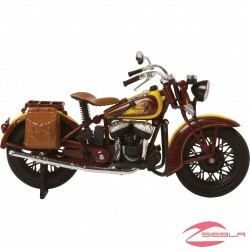 Exhiba la Indian Sport Scout® como un buen tema para romper el hielo o un recordatorio de tiempos pasados. 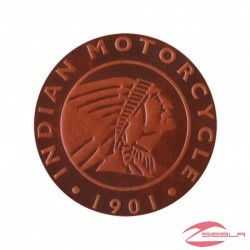 Stylish embossed leather makes these coasters a great gift for Indian Motorcycle® owners. This premium brass Circle Buckle features a multi-colored, enamel Indian Motorcycle® logo, and is ready for use with any leather belt (not included). Buckle diameter is 3.3” (8.5cm). This Head Wrap provides all-day comfort and classic rider style. 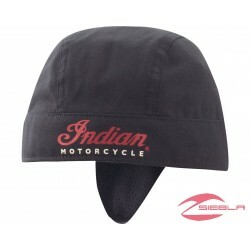 It provides a soft, comfortable head cover and enhances a rider’s comfort when it’s worn inside a helmet. 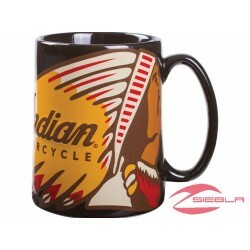 There are Indian Motorcycle® logos on the front and back, and an adjustable tie closure at the back.